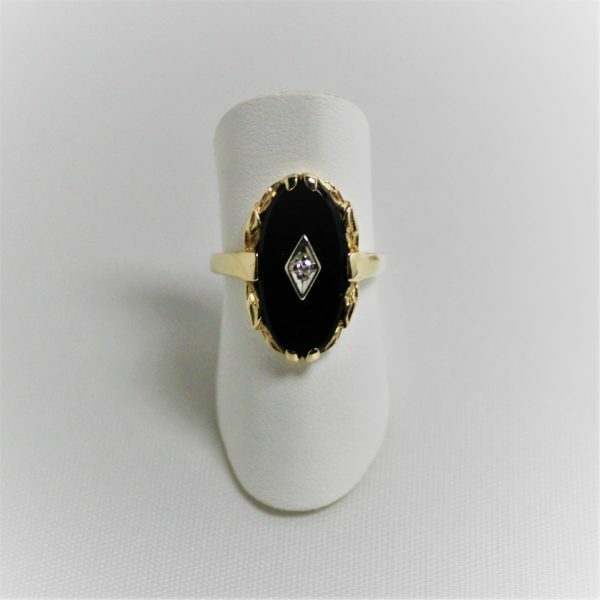 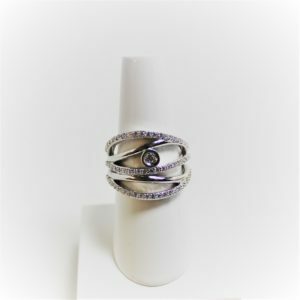 10K Yellow Gold estate ring with oval black onyx and center diamond. 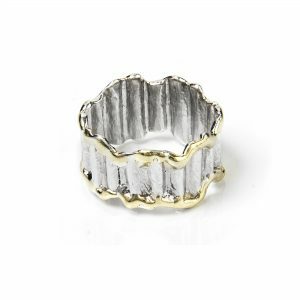 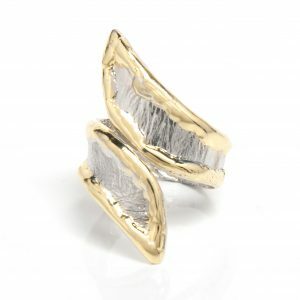 14K Yellow Gold and Sterling Silver bypass leaf ring with ripple-like texture. 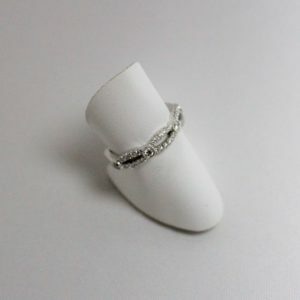 Finger size 8.